Showing solidarity with thousands of striking Los Angeles workers, Vermont Senator Bernie Sanders will speak at a union rally at University of California, Los Angeles, next Wednesday, according to The Daily Bruin. Sanders, a candidate in the 2020 presidential race and a former candidate in 2016, has long advocated for robust unions and protections for workers. As he polls in second place among the 2020 hopefuls, just behind the yet-to-announce Joe Biden, the appearance looks ahead to California’s earlier and more influential primary. On Friday, the University Professional and Technical Employees-Communications Workers of America 9119 (UPTE 9119), which represents 14,000 research and technical workers in the University of California, put an end to months of protracted negotiations with UC officials by announcing a strike. On the heels of the announcement, UPTE 9119 was joined in the strike by 25,000 more UC employees represented by the American Federation of State, County and Municipal Employees Local 3299 (AFSCME Local 3299). The two unions have been locked in intermittent negotiations with the university since 2017, with the two sides unable to come to a resolution over wage increases, healthcare premiums and retirement terms. UC officials characterize the strike as reckless given the role of some of the workers in patient care. “The University feels the way to a deal is at the bargaining table—not on the picket lines—and should not come at the expense of patients, students, the university and our communities,” Claire Doan, a spokesperson for the UC Office of the President, said in an email statement. Long before he rose to national prominence, Sanders legislated and advocated for robust unions and broad workers’ rights. 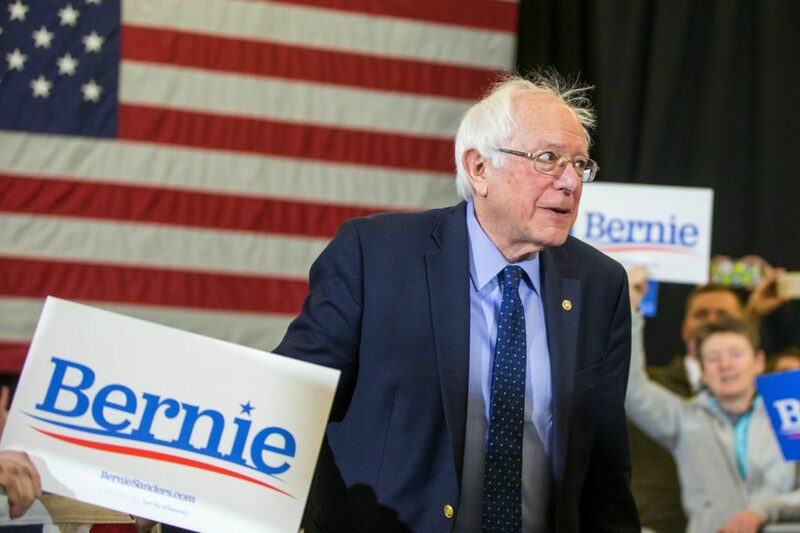 But when the Independent and self-described democratic socialist took the debate stage with Democrats in 2016, his candidacy (although unsuccessful) seemed to go viral, spreading with it his unapologetic embrace of a left-wing agenda. While Sanders’ show of solidarity with UC employees makes sense on a ideological level, it also makes sense politically. With California’s primary now set much earlier in the line-up—moved from June to early March of 2020—the state plays a much more crucial role in determining the Democratic nominee. Sanders lost the California primary in 2016 to Hillary Clinton, the eventual party standard bearer, by almost 7 points. Sanders will speak at the event starting at noon. A location has not yet been announced.